This is the fourth post in our series, Pathways to Science, where we are sharing opportunities for students to connect with scientists. Citizen science projects are an excellent way for students to make authentic connections with science and those who study it. Two projects that I have found worthwhile for students are the NASA S'COOL program and Project BudBurst. 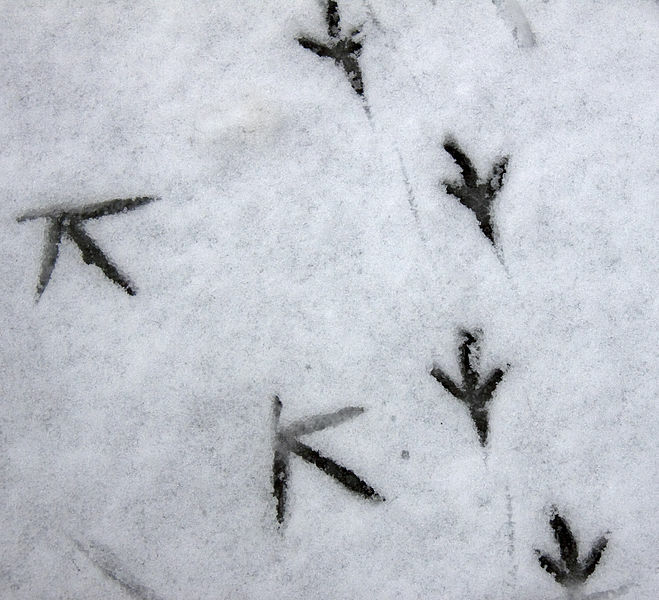 Both involve students collecting data and engaging deeply with their natural surroundings. NASA S'COOL is a free program that gives students the opportunity to learn about clouds and their impact on weather and climate, while contributing data to scientific research. It is an excellent extension to a weather unit. When in the classroom I used this program with 5th graders for several years, but it could definitely be used with older kids as well. In addition to teaching students how to collect scientific data, they offer lesson ideas based around weather patterns and clouds. 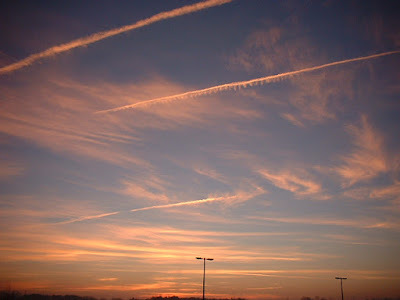 S'COOL, or Student Cloud Observations On-Line, teaches educators and students how to observe and identify cloud types to provide "ground-truth" data for the CERES (Clouds and the Earth's Radiant Energy System) satellites. The CERES satellites are gathering data and cloud images from their orbit above the Earth's surface. This is only one side of the picture. Students collect and provide data from the ground, to corroborate what is seen from above. The result is called "ground truth". In combination you then see the whole picture. Students can learn a lot from clouds- including how to predict the weather from them. Once data is collected during a CERES satellite overpass the students input it on-line and receive a report back. S'COOL requests students analyze these reports to see how their data matches (or doesn't match) the CERES data. It is a dynamic, authentic process. The director of the project, Dr. Lin H. Chambers, is always helpful and at times has even sent the students messages about their data. 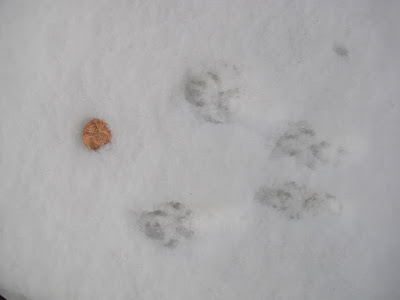 Once we noted that it began to hail during an observation. Lin wrote back a simple "Be careful out there!" and the kids thought it was great. Knowing that they were sending their data to a scientist who then communicated back to them solidified that this was the real deal! Even PBS SciGirls have gotten in on the S'COOL action! Connect with NASA S'COOL through their website, Facebook page , and Twitter. Project BudBurst is a citizen science project that utilizes data collected by volunteers. The purpose of the study is to see how changes in climate are affecting the life stages (or phenology) of plants. Anyone can participate. 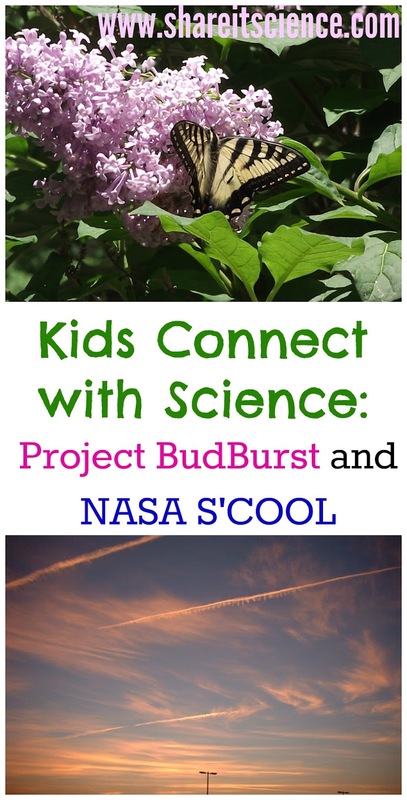 I have used the "junior" version of this project, BudBurst Buddies, with 2nd graders as part of their plant unit. BudBurst Buddies is based on a story of children who observe trees around their home. They model how kids can also do this at their home. After kids have submitted 4 observations of a particular tree or shrub, they can print out a certificate. For older volunteers in the program, observations can be made at any point in time. There are clear directions for adults and they are building quite the library of lesson plans to help implement the program in classrooms. The beauty of a citizen science project like this is that over time there is a large pool of data that can be accessed. Students can see where other people have observed in real time and view data from previous seasons. The scientists and educators who work with the project are very approachable and excited to have students working with them. You can even submit questions through their "ask a scientist" page. To learn more about Project BudBurst visit my posts, "Project BudBurst: Easy, Authentic Plant Science" and "See it? Share it! Flower and Leaf Buds, Could it Be True?" You can also connect with them through their website, Facebook page, or on Twitter. This is the third post in our series, Pathways to Science, where we are sharing opportunities for students to connect with scientists. 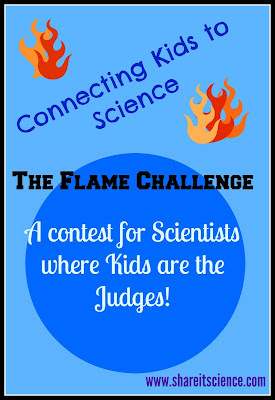 We are going to take a closer look at the Flame Challenge, a contest for scientists where students are the judges. This is not only an exciting and engaging opportunity for kids because it puts them in the driver's seat, but also has great opportunities for extensions like teaching writing and communication in the sciences. The Flame Challenge began when Alan Alda, actor, writer and advocate for clear communication of science issued a challenge to scientists to explain, in an understandable way, the answer to the question "What is a flame?". Scientists from across the globe submitted their answers in written and visual form to be judged by 11 year olds. This first challenge was issued in 2012, and the competition has evolved over the past few years. Now there are separate categories for written and visual submissions and schools can participate in a virtual Worldwide Assembly when it is time to announce the winners. Each year, the question is different. To date the questions have been: What is time? What is color? What is sleep? and What is sound? 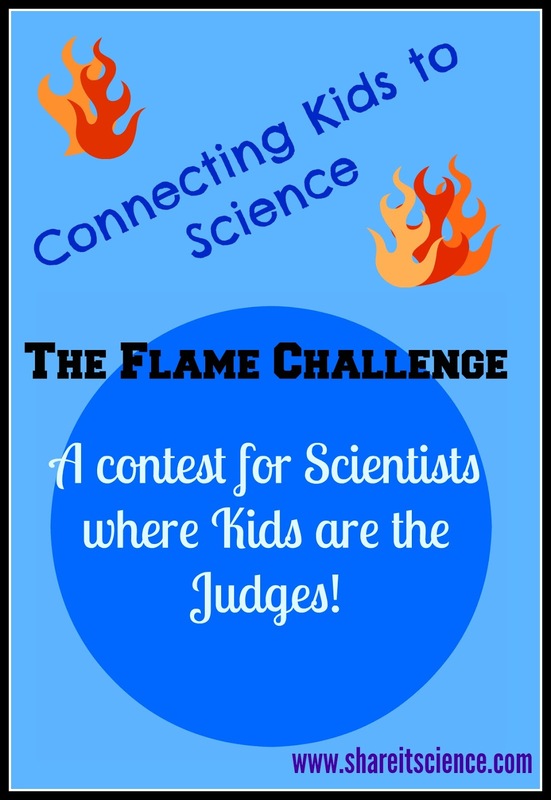 When I was in the classroom I participated with my students for the first three years of the Flame Challenge, and students in grades 5 and 6 continue to participate at the school I worked in. What I thought was most important about having students judge the entries is how easily we could extend this activity in the classroom. This is the perfect precursor to having students present their own findings at a science fair or event at school. They begin to learn what makes for interesting and clear communication. After judging the entries we would generate a list of why students thought the ones they had chosen were the best. This was always a thoughtful discussion. Students reasoned that giving examples we can all relate to is helpful. They did not want to be spoken down to and they didn't want too much technical language. A balance of humor was deemed important, but not too much and not too cheesy. They were appalled by grammatical errors and typos. The students began to understand that scientists are people too. Although they hold information that is valuable to us all, it is okay to question the information that is being handed to you, and acknowledge there might be a better way to communicate with students and people who may not be professional scientists. Although my students might never meet the scientists who they judged, they began to relate to them. They understood that these were people, and the people had personalities just like those they interact with at home and school. During one of the first years we participated, my students fell in love with a scientist named Steve who had submitted a particularly funny and informative video. (He also happened to win the challenge that year!) Over the course of the next year or so, they continued to ask if they could watch Steve again. I loved that he inspired them to be excited about science. To register to participate in the challenge, visit the Flame Challenge website. Judging happens in the late fall and winners are announced in the spring. 5th and 6th graders may participate (regardless if they are exactly 11 years old or not!) Homeschoolers working on teams can participate too! You can also connect with the Flame Challenge on Facebook and Twitter. Have you participated in this program? If so, we'd love to hear your experience. 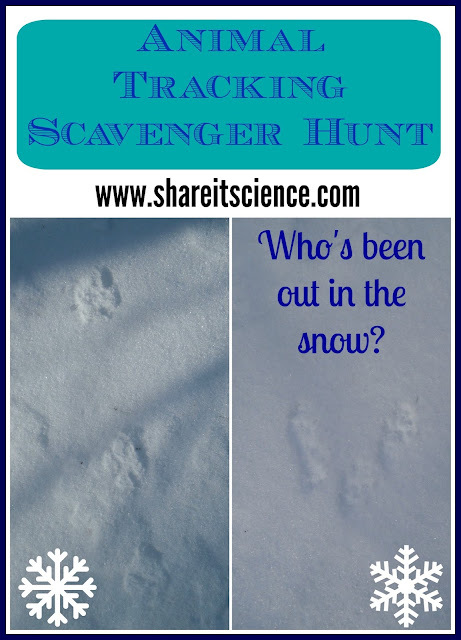 E-mail us at shareitscience@gmail.com or meet up with us on Facebook, Google+ or Twitter. This is the second post in our series Pathways to Science, which will share opportunities for students to connect with scientists. Today we are looking at the "Story Time From Space" program, a project of the Global Space Education Foundation. The project sends picture books to the International Space Station where astronauts read them aloud. The readings are recorded and are available online for anyone to watch. Curriculum for teachers is being developed in addition to veteran astronauts recording science demonstration videos based on the science content in the stories for classrooms to use. The program gives opportunities for classrooms to connect with astronauts through a common experience- the reading of a picture book. The stories are chosen for their connections to science and space. For a nice review of some of the books that have been sent to the space station, check out "Read a Book with an Astronaut on the International Space Station" on the Wrapped in Foil blog. 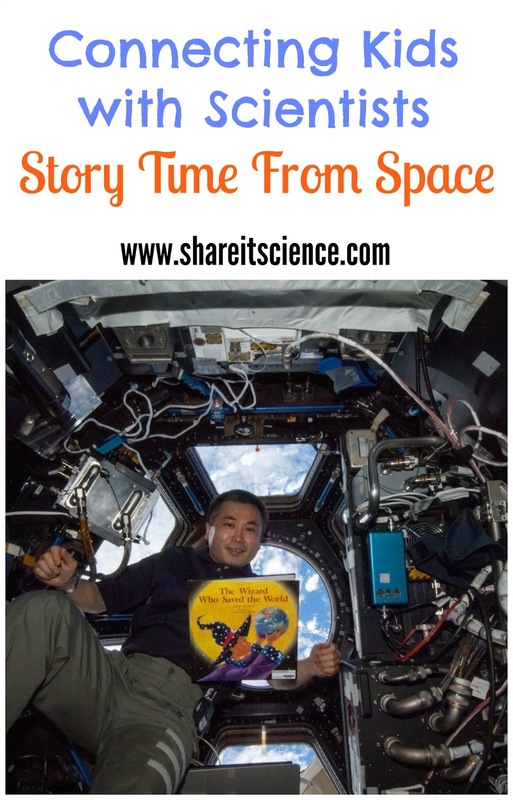 To connect with Story Time From Space, you can follow them on Facebook and Twitter. Keep checking back on their website to see when supplemental curriculum materials are available! If you are interested in connection kids to the International Space Station in other ways, check out this website with links to programs like LEGO in Space and Kids in Micro-g! You can also participate in space station missions through the Sally Ride EarthKAM project. 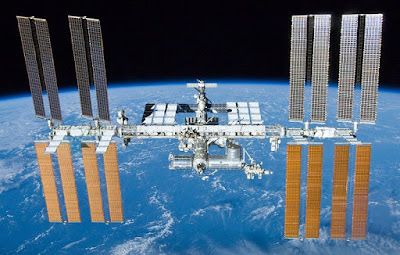 Learn more at my post: Sally Ride EarthKAM: Be a Part of an International Space Station Mission. 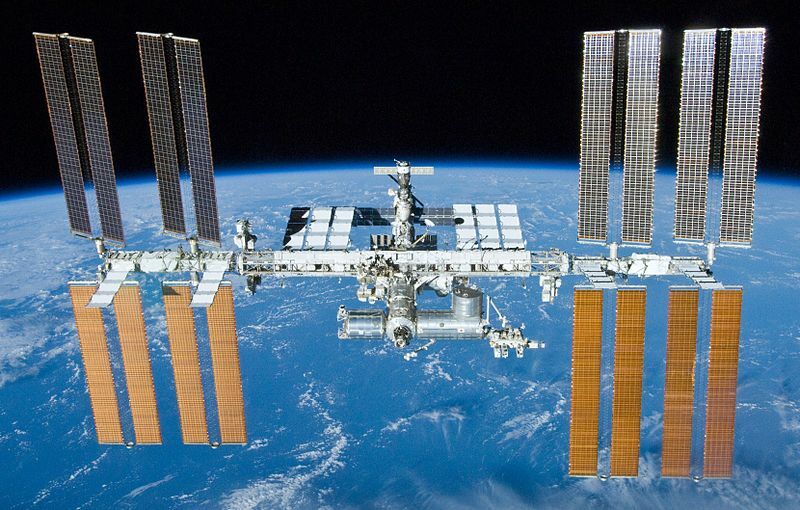 Check out some of the stories that have been read on the Space Station! 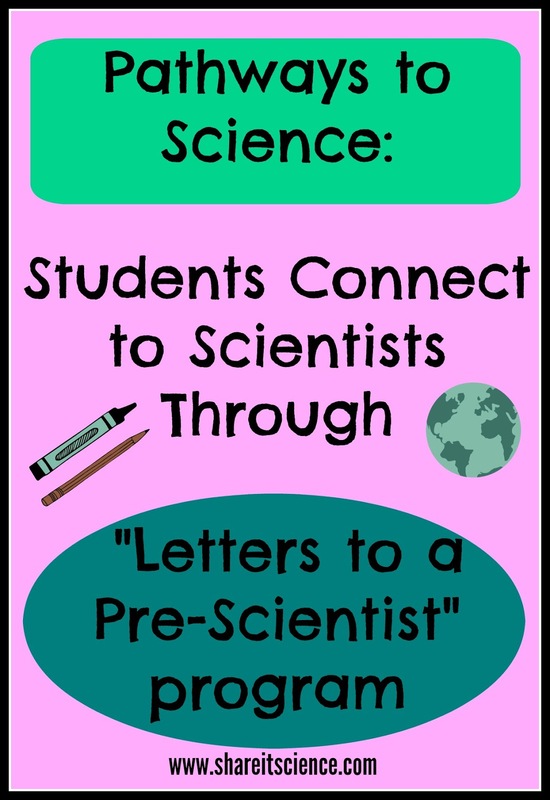 Today we are going to start a 2-week series on opportunities for kids to make connections to fields of science by interacting with actual scientists. See other posts in the series "Pathways to Science" here. Receiving the letters is not only exciting for the students, but also gives them writing practice. The volunteer scientists hail from all over the United States and the world, which undoubtedly broadens the students’ view of the world. The program served 400 students this school year. The program was the brain-child of Macon Lowman, a Teach for America science teacher with a job placement in rural North Carolina in 2010. She quickly recognized that the majority of her students came from low-income families with little hope that they would go to college, or in some cases even complete high school. She had the brilliant idea of connecting them to scientists to inspire and inform them of the possibilities for future education and careers. With the help of Anna Goldstein, a scientist who organized others to volunteer, they were off and running. “Letters to a Pre-Scientist” was born. 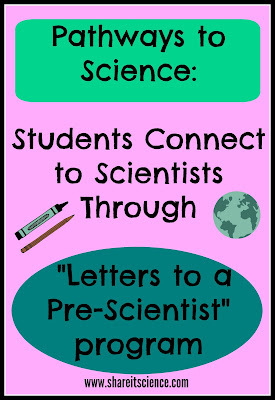 Currently, “Letters to a Pre-Scientist” is run on 100% volunteer power. Supplies are dependent on donation or paid for out-of-pocket by teachers. If you are interested in helping this program grow, donating supplies, or participating yourself as a scientist, teacher or student, you can connect with the program through their website, Facebook page, or on Twitter. Just imagine the impact of a program like this in all schools, with scientists and even professionals in other fields. Assuring each student makes a connection with someone who can show them an example of a pathway to a lifetime of curiosity, inquiry and an interesting and fulfilling career, now that is what I call a real-world education! 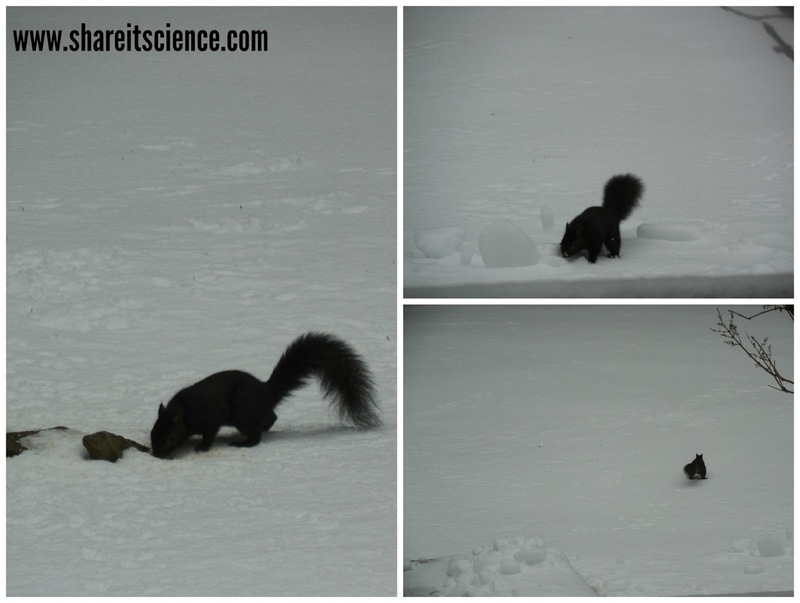 Have you ever seen a grey squirrel with black fur before? Nope, it’s not a new type of squirrel, it’s just a genetic mutation that results in more melanin, or pigment, in the fur. This version of the grey squirrel is called a melanistic squirrel. This one was foraging around the bird feeders last weekend. We have seen a few of these throughout the past 4 years. They are always striking and very noticeable as they don’t blend into their surroundings quite like their grey relatives. 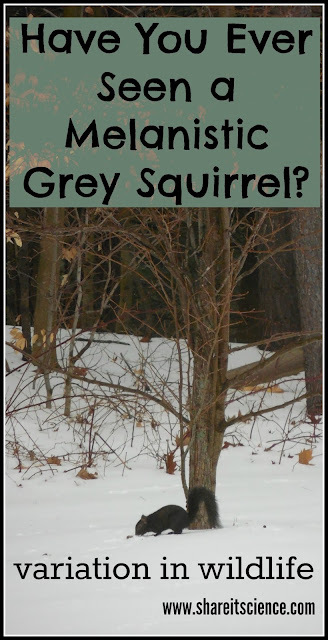 Grey squirrels can also have a white variation, where some or all of the fur is white. This is called leucistic or partial albinistic. If the squirrel also has pink eyes, then it is considered an albino variant. Although it doesn’t happen in the wild as much as we see variation in human genetics, there can be variations in individuals within a species. Sometimes lobsters are blue, and sometimes dolphins are pink. Deer, squirrels and other animals can exhibit piebaldism, where they are missing pigment on some patches of their fur. These animals have patches of white fur or skin. What advantages or disadvantages do these genetic variants have? Here is a lesson plan, “Color On, Color Off” for upper elementary through high school that explores albinism in animals. You might want to check it out at school or home. Have you ever seen an animal of a unique color? If you’ve seen something like this tell us about it in the comments below, e-mail us at shareitscience@gmail.com or post a picture to our Facebook page. As a teacher or parent you know how overwhelming it can be to wade through all the available resources on any particular topic. Today I'm going to make it a little easier for those of you who are looking to teach or enrich a preschooler's days with science activities. 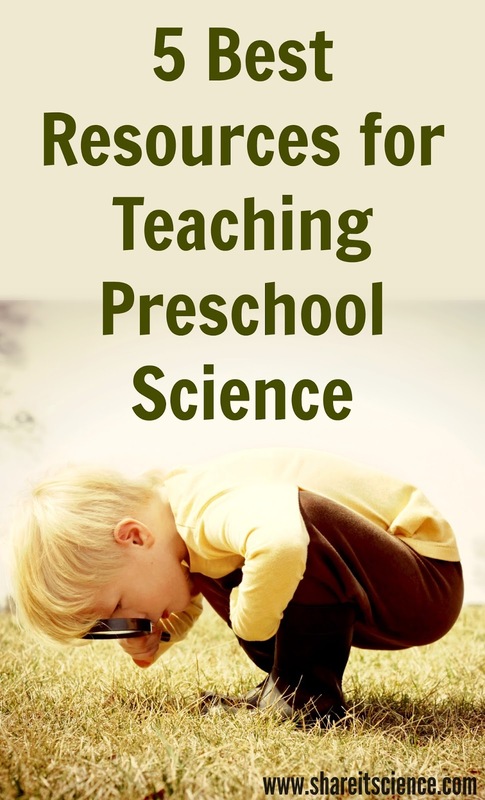 The five resources I will outline in this post are my most dog-eared and cherished preschool science books from almost a decade of developing and teaching science for children ages 3-5. As I pulled them off the shelf to review for this post I find all sorts of post-it notes sticking out of the edges denoting certain topics I wanted to quickly find. I would highly recommend including these in your school, home or homeschool library! My top pick for a guide to teaching preschool science is Science is Simple: Over 250 Activities for Preschoolers by Peggy Ashbrook. This book is indispensable. It not only includes activities that are easy to complete and are age appropriate but also gives discussion questions, book, poem and song suggestions, ideas for extension activities and reproducible letters to send home explaining the activities completed at school. Peggy Ashbrook is an expert in this field with many years of teaching experience and involvement with the National Science Teacher's Association (NSTA) and the National Association for the Education of Young Children. She is a contributor to NSTA's Early Years blog and writes the Early Years column for the NSTA publication Science and Children. I often seek out her writing to find new ideas and perspective on teaching young children. Science Play by Jill Frankel Hauser is a fun book with all sorts of playful activities and things to make to explore science concepts. The most well-loved section of my copy is "Air, Air Everywhere" filled with paper air toys to make and activities to do with a drinking straw and your own breath. The section "Sun, Wind, and Rain" is great for studying weather and shadows. Years ago I was on the search for science activities to get the little ones moving when I stumbled upon Jump into Science: Active Learning for Preschool Children by Rae Pica I love that this book is filled with movement activities that easily tie into any science concept I'd like to teach. A bonus with this one is that there are excellent suggestions for picture books and children's songs that can be used to extend your lesson. I've used many of the role-play and imagination movement activities in this book to help children act out natural processes like a seed developing into a plant and bears getting ready for their long winter's nap. If there is one resource that I have used throughout my entire teaching career whether it has been in informal environmental education or developing a curriculum map for the traditional science classroom it is the book: Hands On Nature: Information and Activities for Exploring the Environment with Children edited by Jenepher Lingelbach and Lisa Purcell, contributor: Susan Sawyer. With tons of background information on natural history and activities that can be adapted for all ages, it works wherever I am teaching. I love that there are ideas for outdoor activities and creative indoor projects like scripts for puppet shows. Some of my favorites are using the insect transformation game as an active way to teach about metamorphosis, and Animals in Winter Bingo, which uses clues rather than just calling out an animals name. Lastly, another great resource for preschool and elementary science is A Year of Hands On Science: 100+Standards-Based Activities, Projects and Experiments by Lynne Kepler. This resource follows seasonal changes throughout the year and science activities that accompany these changes. Organized by month, there are 2 themes that each chapter focuses on. 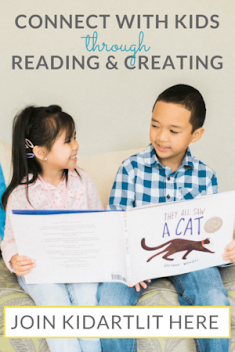 Themes are well developed through activities, read-alouds, reproducible letters to send home, and ideas for picture books that accompany lessons. 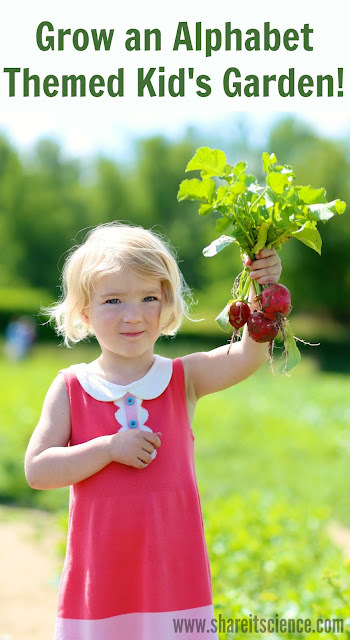 Although this is geared for K-3, there are many ways you can adapt activities for younger ages. 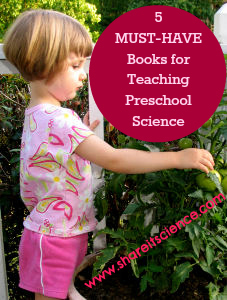 You can intertwine science into your preschool day with picture books too! Many picture books, whether they are written with science in mind or not, can help develop science skills. Any stories where students can be asked to anticipate what will happen next helps them to develop their inference and hypotheses development skills. Stories where characters ask questions and search to find the answer inspire questioning and curiosity. For example, you can use a book such as Nancy E. Shaw's Sheep in a Jeep to build anticipation and prediction skills. It also makes a nice introduction to a lesson on rolling and sliding! Use a fun story like Helen Lester's A Porcupine Named Fluffy to talk about adaptations and differences in animals. The possibilities are endless! Here is another great preschool STEM activity to try. In what was a historic event for scientists, a headache for teachers and a boon for textbook publishers four new elements were added to the Periodic Table earlier this week, completing the 7th row. It is not quite time to start memorizing these new additions yet as they only have temporary names. Turns out they may not be officially named for many years due to the quirky naming process of elements! 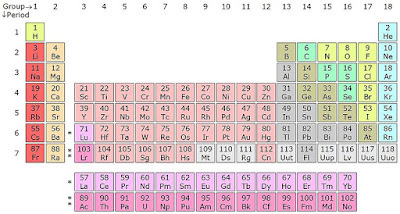 The new members of the table are elements that do not exist in nature due to the fact that they are so unstable that they literally only last for milliseconds before decaying. In order to make their existence official after one group of researchers confirms they have created the element, another group of researchers must be able to replicate their results. It is a slow process! Some of these elements were first discovered in 2004 and it has taken this long to replicate them. 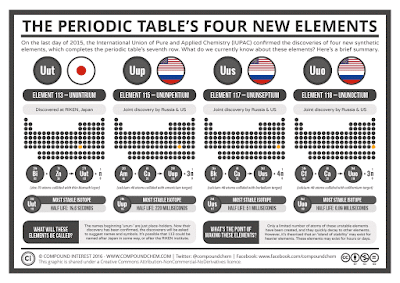 The four new elements have the temporary names: ununtrium, ununpentium, ununseptium, and ununoctium, or elements 113, 115, 117 and 118 respectively. Element 113 was discovered by the Japanese at RIKEN and the other three are being claimed as joint discoveries of Russia and United States. 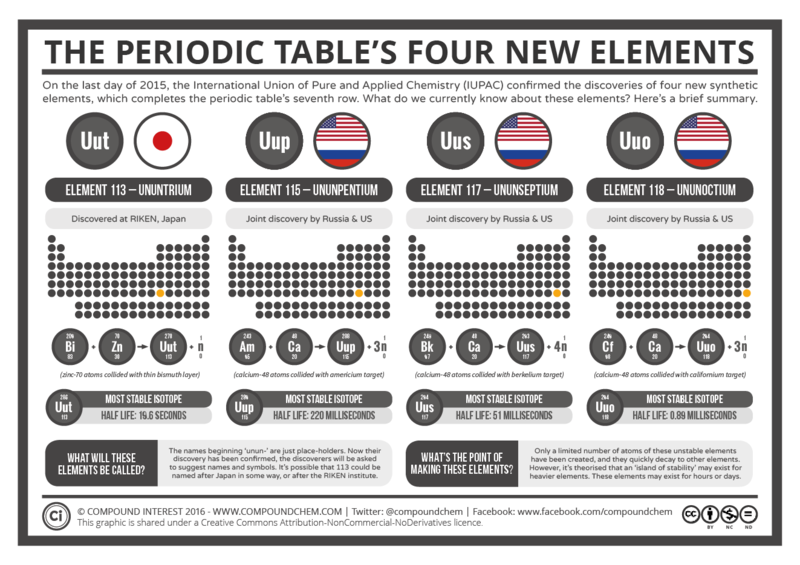 This infographic does a great job of summing up what we know about the new elements. Click on the image for an enlarged view. From a teaching standpoint, besides the fact that all of the periodic tables in books and on posters will be missing these new additions, the addition of these elements does not affect the basics of a high school chemistry course. As they are synthetic elements, they are not crucial for understanding the basics of chemistry. However, it is something that will need to be updated once they have their official names. What a tricky subject science is, always evolving! First all my astronomy materials were outdated when Pluto was demoted...and now this! To read more about the new addition to the Periodic Table and some of the quirks of the elemental naming system, check out some of the links below. 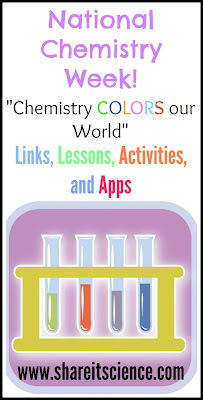 If you are looking for periodic table teaching resources you'll want to explore the list of over a dozen links and free apps at the bottom of my post for last year's Chemistry Week. 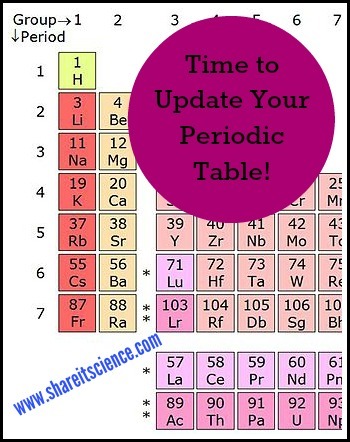 Keep in mind that those periodic table ones might be slightly out of date at the moment! I'm so excited to be sharing one of my most popular posts of 2015 with you along with some of the best education, craft and parenting posts of the past year from a group of talented bloggers. Although I have already featured some of my 5 most popular posts from the past year, I want to feature here one of the most fun posts to create and share. Saturday Science Experiment: Spies and CSIs has 3 different spy themed activities, 2 different methods for making 'invisible ink' messages (without heat or flame!) 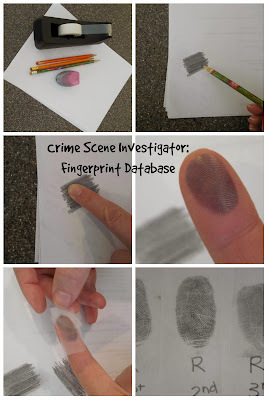 and a fingerprinting activity that does not involve ink. I love these activities because they are engaging and fun, but also safe enough that children can do this with just a little help from an adult. Who doesn't want to create a secret message? 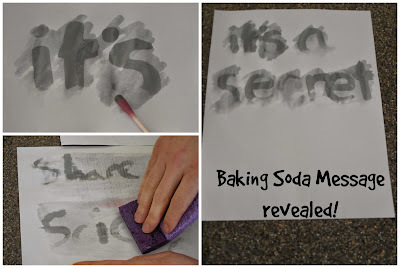 Although the invisible ink activity is super fun, the traditional method of lemon juice and a heat source isn't the most safe or kid-friendly way to do it. The pencil graphite and scotch tape method of lifting fingerprints gives such a clear fingerprint, not smudgy like with ink. Kids can really take a good look at their arches and whorls! You'll find easy to follow step-by-step instructions on the post. 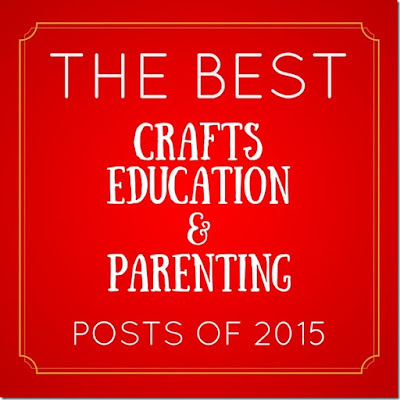 Each blogger featured in this post chose their best post of the year in the categories of Education, Crafts and Parenting. You'll find their posts in clickable links in the linkies below. You're in for a treat with these excellent activities! To find all of these activities in one place visit the Best of 2015 Pinterest Board! Follow MaryAnne at Mama Smiles 's board The Best of 2015 on Pinterest.